It’s kind of embarrassing that I’m such a fan-girl for this story, but it’s a testament to Gabaldon’s writing. Her research, the depths of her characterisation and her ‘leave them wanting more’ pacing, means she’s something of a genius when it comes to writing a time-travel series. I just hope that this will translate to TV. For years there had been talk of turning the much-loved books into movies, but for one reason or another, it never worked out. Personally, I think a TV series is much more adaptable to cover the breadth of the Outlander series, which is ridiculously broad. I’ve never been a fan of these types of series in the past. I mean, why limit yourself to one author telling one story over a series of books? But I just sort of fell into Outlander and then discovered there were a whole load of books about Claire & Jamie’s adventure-filled romance. Admittedly, I had to stop after book three because it started to affect my daily life. I found myself speaking in a Scottish accent more and more, which was verra, verra off-putting for friends and family, and the kilt didn’t go down too well either! Ah what the hell, we all have our guilty pleasures and mine is certainly Outlander, so I can’t wait to see it’s small screen debut. UPDATE: Just watched the show last night and I have to say, even though it was kind of surreal watching the book come to life on the small screen, I loved it 🙂 The casting is spot on and I can see Tuesday fast becoming my favourite day of the week! 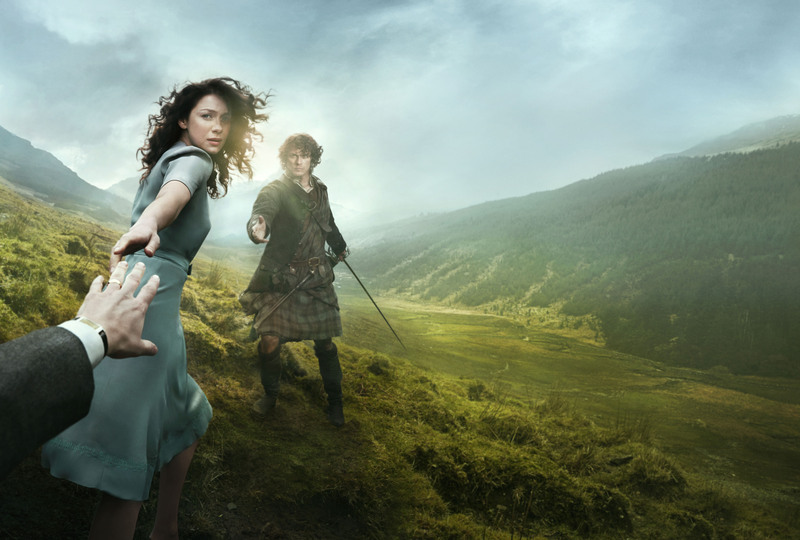 Let me know what you thought… have you read the books, or are you an Outlander virgin? I’d love to know how people who haven’t read the books are reacting to the show. Previous Post Super Dooper Review!